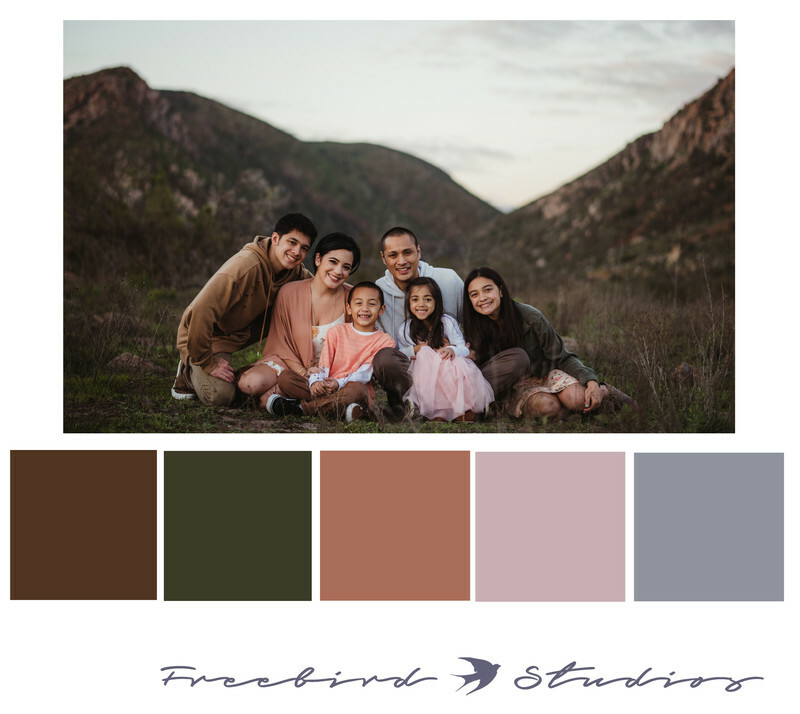 The biggest tip that I can give my clients when it comes to styling their portrait session is to wear clothes that coordinate, not clothes that match exactly. For example, everyone can wear creams, whites, and beiges rather than everyone wearing a white top and jeans. Another option would be to pick two colors that complement each other (blue and orange) and then two neutrals. When I pick out my own family’s clothing for portrait sessions, I usually start with the hardest person to dress (my picky teenager, haha). Once she has picked out an outfit that she likes, I then take the colors from that and use them in all other family member’s outfits. If you’re ever stuck for inspirations, I suggest visiting websites such as http://colorpalettes.net/ for color combos that you may have never thought of that would look good together. Here’s our latest family picture, taken by the amazing Twig and Olive Photography. My daughter chose a dress with pink, orange, green, white, and brown tones, so I spread those colors throughout the rest of the family wardrobe. One of the EASIEST ways to add some style to your wardrobe is through accessories. Think layers- vests, sweaters, cardigans, hats, suspenders, tights, socks, scarves, jewelry, headbands, etc. 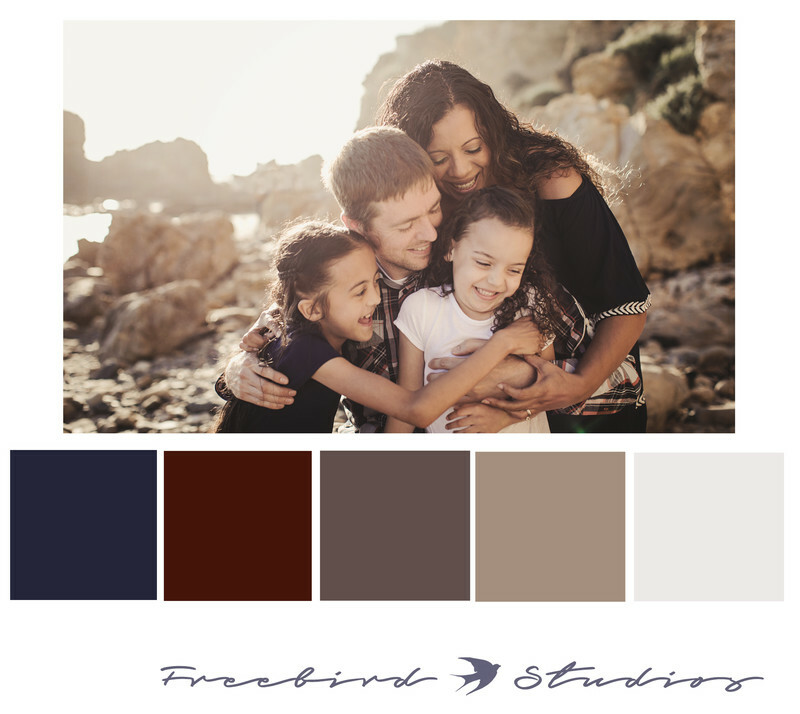 Get some inspiration for your family session by looking at a few of these sessions I've photographed. 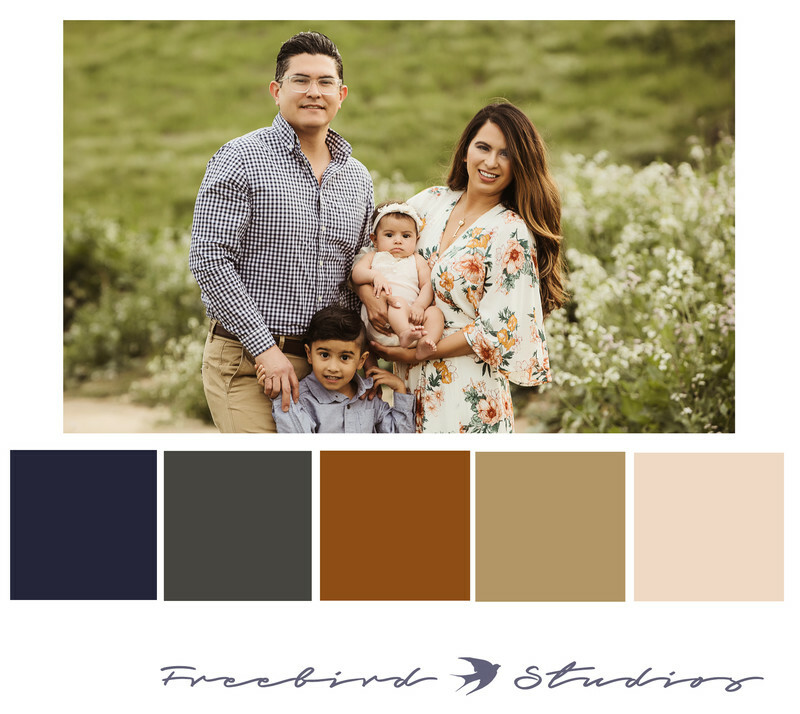 These families did a great job of creating a cohesive look with their color palette, combination of patterns and accessories.